Unlock cylinder savings in our early Easter sale! This week at TradeLocks we’re giving you a massive 20% off all 1 star and 3 star cylinders. Open doors with domestic locksmith tool savings! This week at TradeLocks we are giving you up to 32% off domestic locksmith tools! Make savings on snapper bars, door spreaders and more. 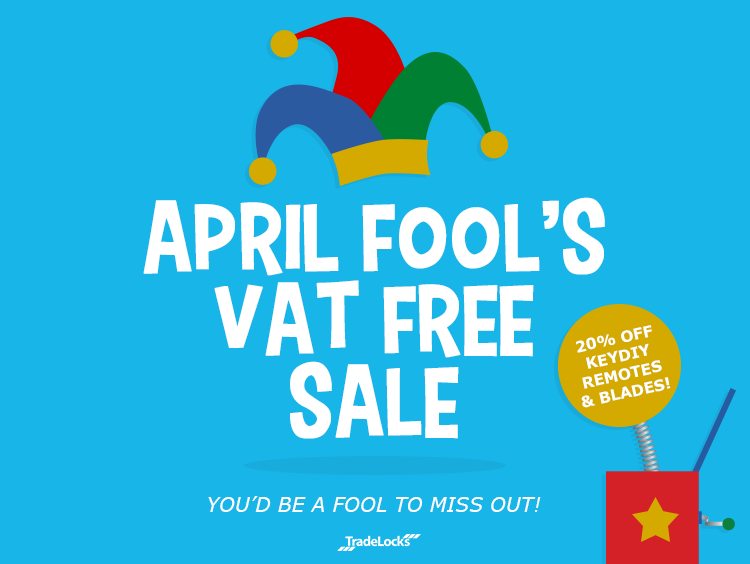 Don’t be an April Fool and Miss Out on VAT Free KeyDIY! It’s no joke! VAT free KeyDIY remotes and blades at TradeLocks! At TradeLocks we don’t stock original keys, and we never have. We do however carry the brilliant KeyDIY range. We have lots of stock of all the different types of remotes and blades available, so you can offer a great choice of aftermarket keys. The Spring Equinox in the northern hemisphere fell on Wednesday 20th March. 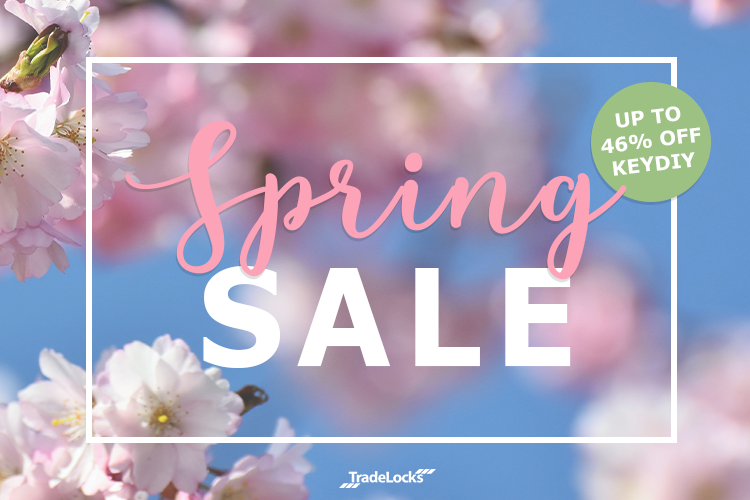 To celebrate we’re giving you up to 46% off selected KeyDIY in our spring sale! Save on everything you need to offer aftermarket remotes from KeyDIY – including the KD900 Key Remote Generator! 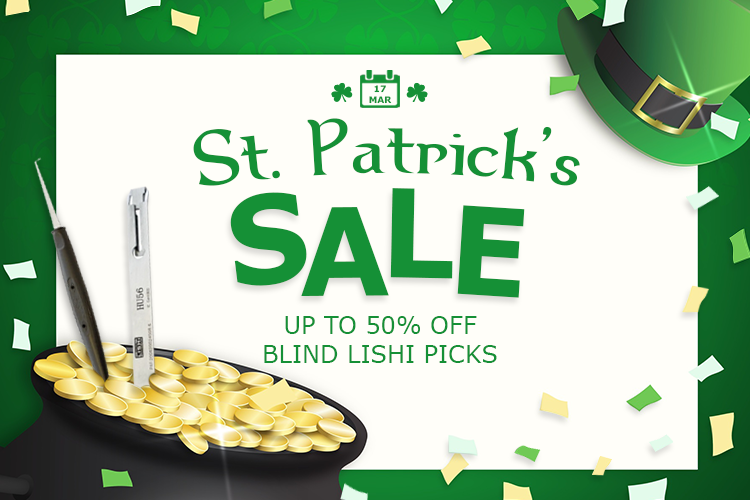 This week luck is on your side as we’re giving you up to 50% off Genuine Lishi Blind Picks! 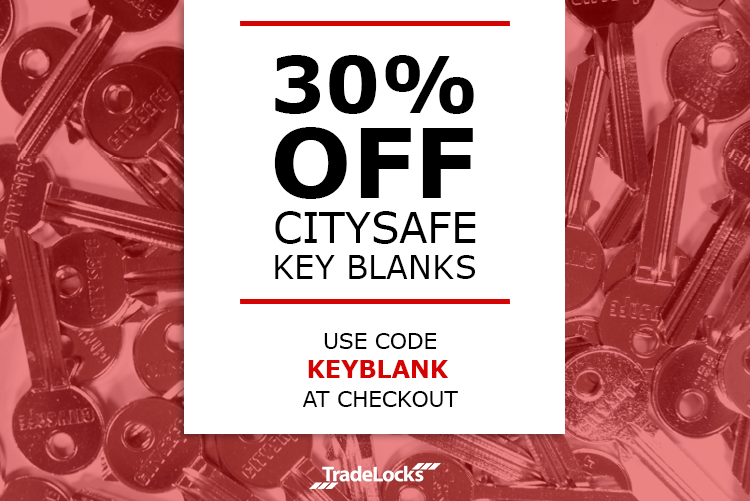 At TradeLocks you can find a wide range of key blanks by CitySafe UK. Each European, high-quality steel key blank is CitySafe branded and carries the references of the three most popular manufacturers – HD, JMA and Silca – making them the most handy key blanks on the market! 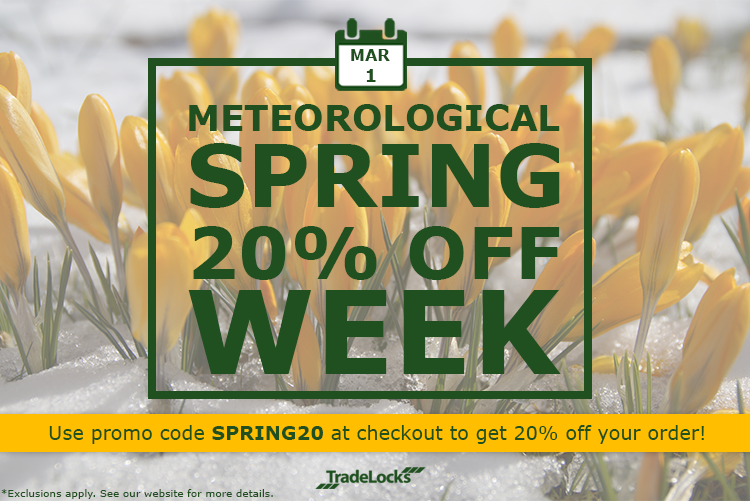 Put a Spring in your Step with 20% off your TradeLocks Order! Friday 1st March 2019 marked the first day of meteorological spring. To celebrate the start of a new season and to put a spring in your step, we’re giving you a massive 20% off sitewide! Save on a range of products including KeyDIY car key remotes, key blanks, Genuine Lishi tools, cylinders and more! 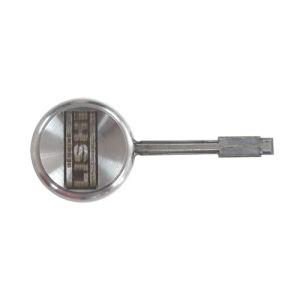 Classic Genuine Lishi tools are recognised by professionals around the world for their quality, ease of use and ability to get the job done. To celebrate how great the classic tools are, TradeLocks are giving you a massive 20% off every single one! 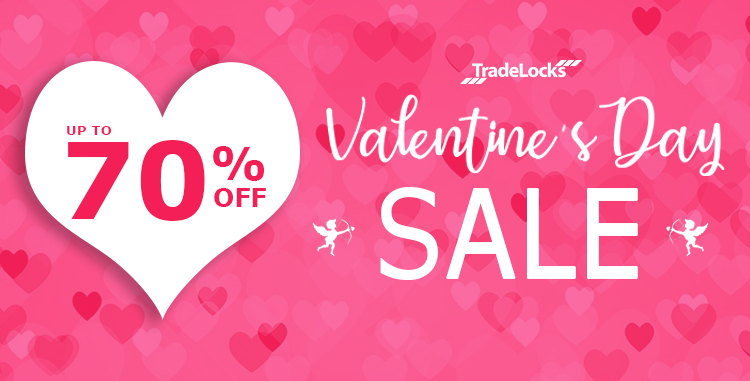 Fall in love with TradeLocks Valentine’s Discounts! You’ll fall in love with the fantastic discounts and special Valentine’s bundle available at TradeLocks this week! Roses are red, violets are blue, this Valentine’s Day TradeLocks has some great mortice impressioning set deals for you! Our mortice impressioning sets come with everything necessary to decode or get an impression of either a Legge Yellow or Yale mortice key so you can create a temporary replica key. 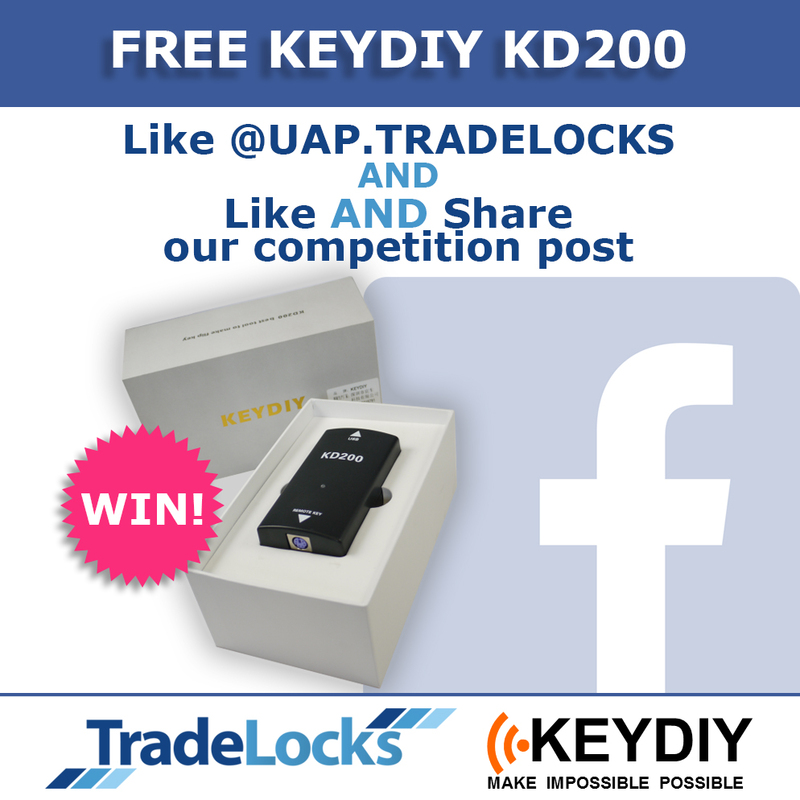 Get up to 19% off KeyDIY at TradeLocks! This week at TradeLocks we’re giving you up to 19% off some of our most popular KeyDIY products! Whether you’re looking to start offering auto locksmith services, or focus entirely on vehicles we have everything you need to offer aftermarket remotes from KeyDIY. Cross Reference Key Blank References with the TradeLocks Easy Key Blank Selector! TradeLocks is trusted by professional locksmiths throughout the world because of our variety of domestic, sage and auto tools, as well as our great prices and expert knowledge. We stock a popular range of aftermarket keys by CitySafe UK. Each European, high quality steel key blank is CitySafe branded and carries the references of the three most popular manufacturers – HD, JMA and Silca. With the end of the year fast approaching (Christmas is only a week away!) we’d like to take the time to thank all of our customers for their custom and support in 2018. In advance of us closing over the festive period, we’d like to notify you of our opening hours and last next day delivery date of the year so you can plan accordingly. Our last working day is Thursday 20th December 2018. We will reopen for business at 08:30 (GMT) on Wednesday 2nd January 2019. It’s snow joke! The TradeLocks 12 Days of Christmas promotion is BACK for 2018! 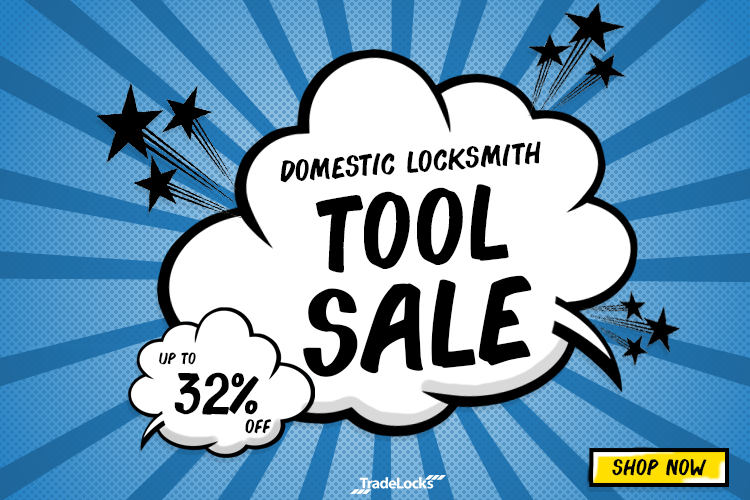 Get up to 27% off in the TradeLocks Domestic Locksmith Tool Sale! This week at TradeLocks we’ve giving you up to 27% off selected domestic locksmith tools! If you’re a domestic locksmith you’ll be no stranger to snapper bars and door spreaders. Whether you’ve just started out in the profession, or are looking to replace your most used tools look no further than TradeLocks! 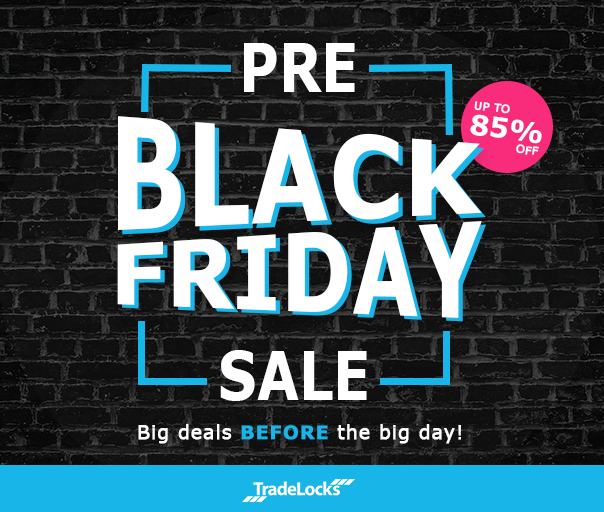 Get up to 85% off in the TradeLocks Pre-Black Friday Sale! This week at TradeLocks we’ve got some fantastic Pre-Black Friday deals for you! Don’t miss out on the chance to get up to 85% off one of the most trusted and popular auto locksmith tool brands, Genuine Lishi, in our Pre-Black Friday Sale. Cover a spectrum of vehicles by picking up tools from our Classic Collection, T3 range or Night Vision range – which are all on over this week! Recognised for their exceptional quality and ease of use, you can’t go wrong with turning to Genuine Lishi for all of your auto locksmith tool needs! 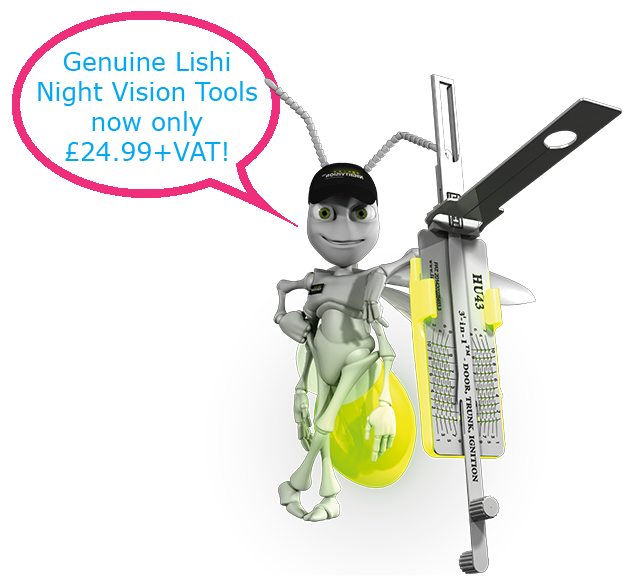 This week we’re giving you the chance to get up to 75% off Genuine Lishi tools and accessories in our Night Vision sale! Cover a spectrum of vehicles and lock types in darker conditions by picking up some Night Vision picks and decoders for just £14.99+VAT each! Save in the TradeLocks Fireworks Spectacular! We’ve got FIVE dynamite deals for you this Bonfire Night! Deal 1: Save on Cylinders! Research shows that when the clocks go back burglaries can increase as much as 20%, with certain dates such as Bonfire Night seeking a spike in criminal activity. No tricks, just treats from TradeLocks this Halloween! This week at TradeLocks we’ve got an offer you Count refuse – a spooktacular 20% off your order! Save in the TradeLocks Spooky Cloning Special! 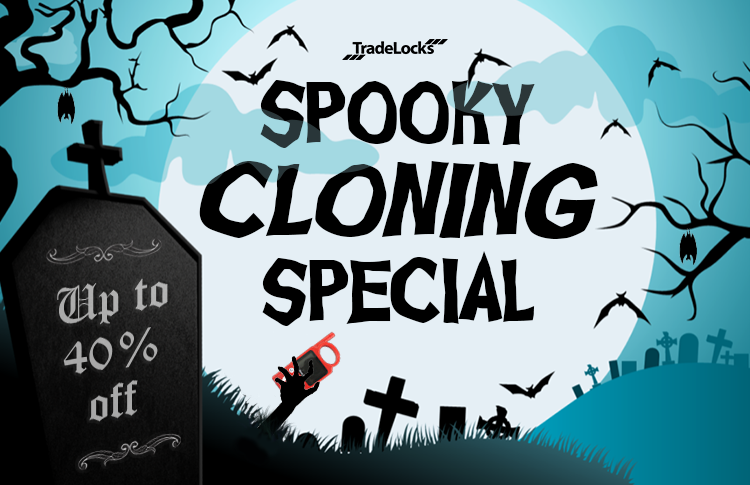 This week at TradeLocks you can save up to 40% in our Spooky Cloning Special! Don’t miss out on the chance to save on big brand car key cloning tools and accessories from the likes of Handy Baby and Keyline! 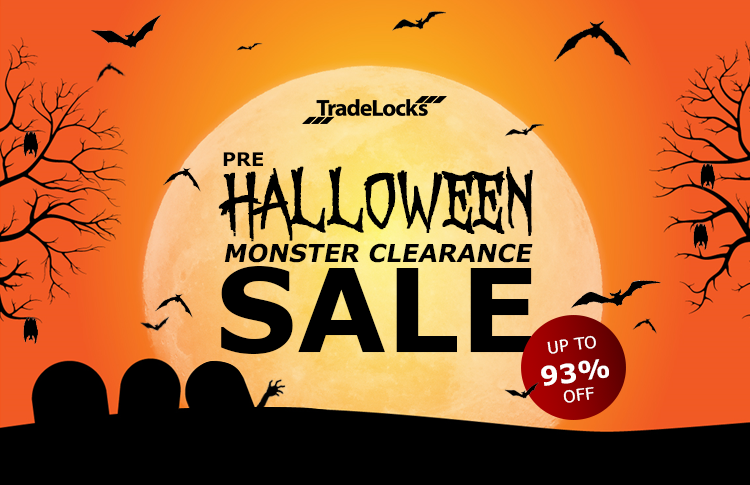 Make Monster Savings in the TradeLocks Pre-Halloween Clearance Sale! This week at TradeLocks we’re having a pre-Halloween MONSTER CLEARANCE sale to make way for new product lines that are coming into stock! This is your last chance to grab a HUGE bargain (up to 93% off) on a range of tools and accessories including Genuine Lishi Tibbe tools, selected KeyDIY aftermarket remotes, mortice impressioning sets, Chris Belcher tools and more! 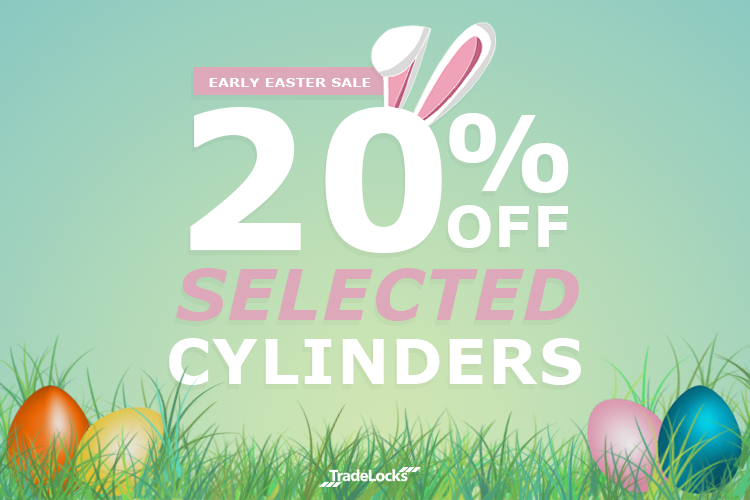 Secure more than savings with 20% off selected cylinders at TradeLocks! This week at TradeLocks we’re giving you the chance to secure more than savings with 20% off selected cylinders! To help you secure more homes this National Home Security Month, we’re giving you an impressive 20% of all 1* and 3* cylinders – including thumb turn and keyed alike! Welcome Autumn with 20% off KeyDIY and Genuine Lishi Tools! This week we’re giving you an unbe-leaf-able 20% off ALL KeyDIY and Genuine Lishi tools! The astrological end of summer is here. Sunday 23rd September was the Autumn Equinox for the Northern Hemisphere, which means we’ve started to point away from the sun *sobs*. If you own an independent hardware store, are a locksmith, key cutter or security specialist then this POTW is for you! 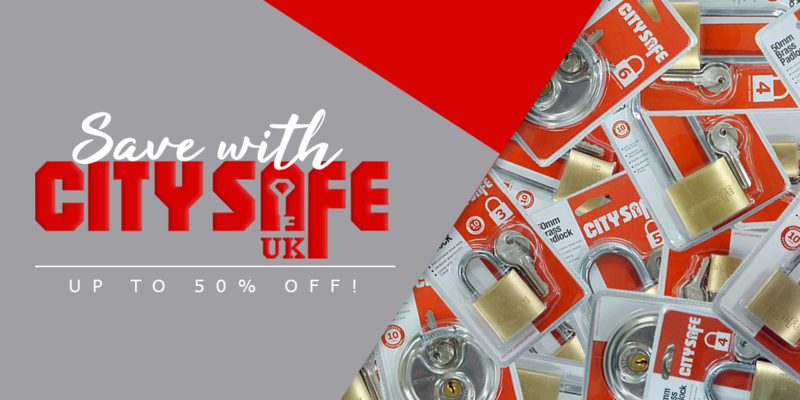 For a limited time only we’re giving you up to 50% off selected CitySafe products! Save on popular products such as manual key cutting machines, to retail packaged padlocks and window security solutions! Get up to 82% off Genuine Lishi Tools & Accessories at TradeLocks! This week we’re giving you the chance to get up to 82% off selected Genuine Lishi tools and accessories. You can save on a variety of products including picks and decoders, training devices, tool storage solutions and more! Save in the TradeLocks August Bank Holiday Sale! We’ve got Tibbe-Mania on the last bank holiday before Christmas! Happy August Bank Holiday weekend! As this is the LAST bank holiday that we will get before Christmas, we’re giving you up to 34% off some fantastic Tibbe lock tools! From key cutting machines, to decoders and Tibbe lock kits you can save on products from big brand names like CitySafe UK and Genuine Lishi. Get up to 50% off in the TradeLocks Summer Sale! This week at TradeLocks we’re bringing you some sizzling deals in our summer sale! Our summer sale has officially begun! For a limited time only we’re giving you up to 50% off some of our most popular domestic locksmith tools. Get up to 64% off Big Brand Auto Locksmith Tools at TradeLocks! This week at TradeLocks we’re bulldozing up to 64% off selected auto locksmith tools! Whether you’re looking to add auto locksmithing to your list of services, or focus entirely on vehicles we have savings for you! Get 20% off your order at TradeLocks! 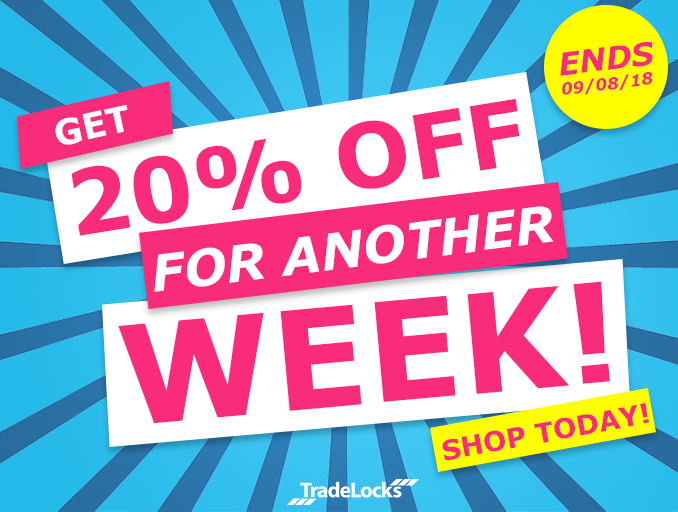 This week at TradeLocks we’ve decided to extended our 20% off promo for an extra week! Yes you read that right…our range of home security hardware, domestic and auto locksmith tools and accessories just got a whole lot CHEAPER! Valid only until the end of Thursday 9th August 2018, we are giving you the opportunity to get 20% off sitewide for another week! Save in the TradeLocks Blood Moon Sale! This week we’re eclipsing prices by giving you 20% off sitewide and more! Friday 27th July 2018 saw the longest “blood moon” lunar eclipse of the 21st century. To celebrate this amazing astronomical event we’re giving you 20% off* SITEWIDE! To take advantage of this fantastic offer, simply use promo code ‘MOON20’ at checkout. Get up to 25% off Essential Domestic Locksmith Tools at TradeLocks! This week at TradeLocks we’re giving you up to 25% off essential domestic locksmith tools! If you’re a domestic locksmith you should definitely have some form of snapper bar, lock picks and door spreaders in your toolbox. Save in the TradeLocks Start of Summer Sale! This week at TradeLocks we’re bringing you some scorching deals in our start of summer sale! The weather may not be showing it – but it’s officially summer! 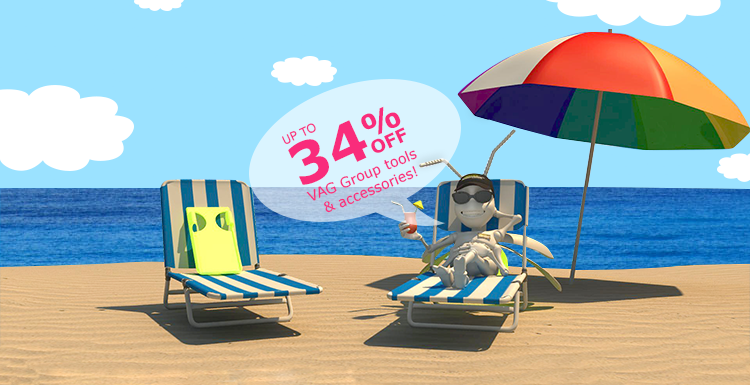 For a limited time only we’re giving you up to 34% off some of our most popular VAG Group tools and accessories. You can even save on big brand auto locksmith tool names such as Genuine Lishi and Keyline! Celebrate the World Cup kicking off at TradeLocks! 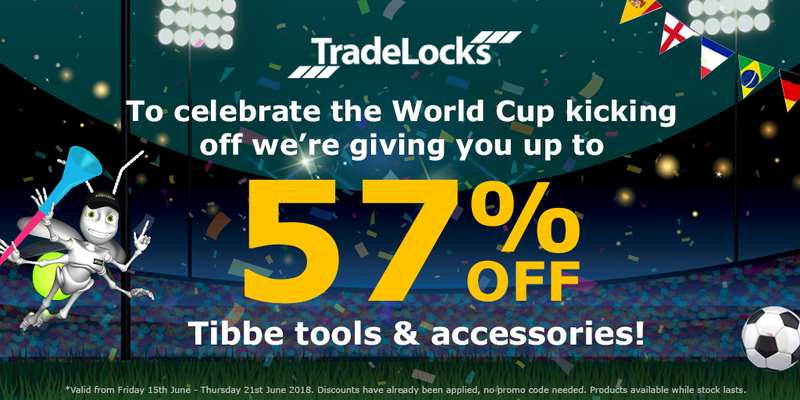 This week at TradeLocks we’re celebrating the World Cup kicking off by giving you up to 57% off Tibbe tools and accessories! The world may have football fever with the World Cup kicking off, but here at TradeLocks we have Tibbe-mania! For a limited time only we’re giving you up to 57% off six brilliant Tibbe tools and accessories.You can even get discount off tools from the best vehicle opening tool brand in the world – Genuine Lishi! Lock Expo or Couch Potato? Here at TradeLocks we know how many of you love heading down to expos to grab yourselves the best bargains…but what if there was another option? 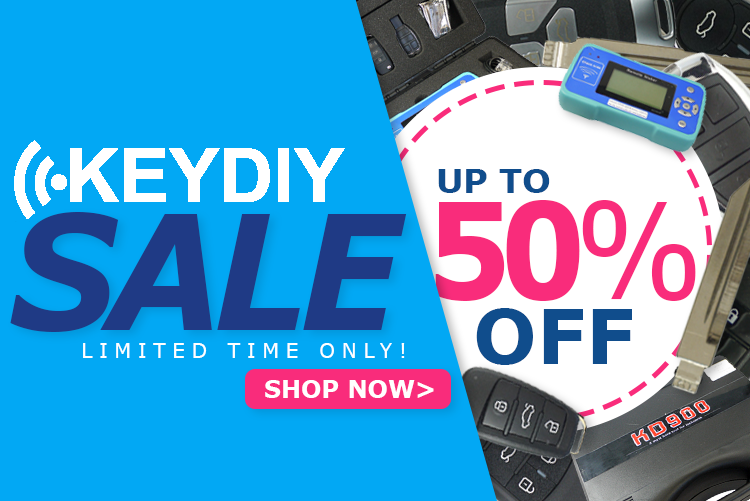 Get up to 50% off KeyDIY Products at TradeLocks! This week TradeLocks has KeyDIY MAY-nia! Pick and decode doors, trunks and ignitions of a range of car makes and models in 3 minutes or less with the new Genuine Lishi VA8 tool! Are you an auto locksmith? Do you like getting your hands on the latest auto locksmith tools? Then you’ve come to the right place! 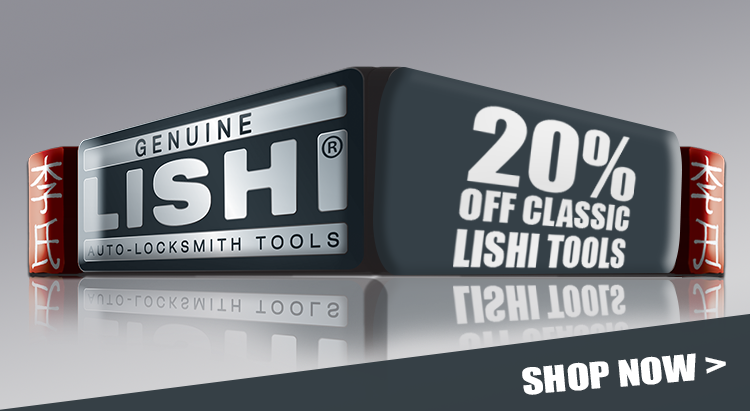 This week at TradeLocks we’re giving you 20% off the latest Genuine Lishi tool – the Classic VA8 3 in 1 Pick and Decoder. 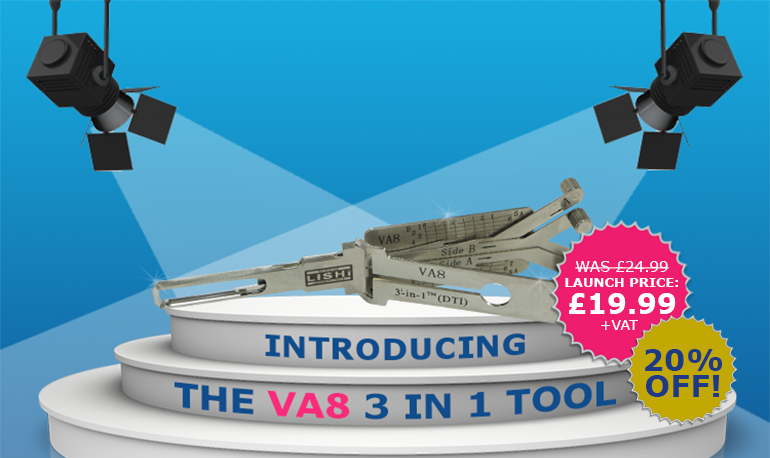 Until Thursday 26th April you can pick up the new VA8 tool for just £19.99+VAT! The best DIY remotes in the world just got a whole lot CHEAPER at TradeLocks! If you’re an auto locksmith or you’re just getting into the trade then you’ve come to the right place. Here at TradeLocks we always always have amazing deals on auto locksmith tools – and this week is no different! 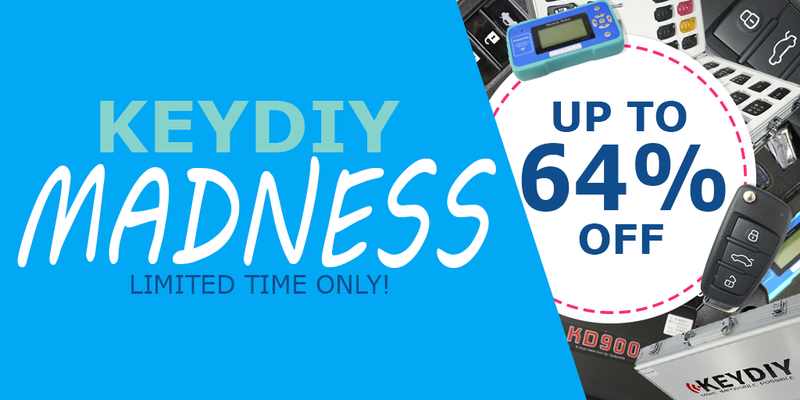 Until Thursday 19th April you can get up to 64% off selected KeyDIY products! Why travel to an exhibition when you can save money online?! Here at TradeLocks we know how many of you love heading to exhibitions to grab yourselves some bargains…but what if there was another option? With a certain annual Locksmiths’ Exhibition taking place this weekend don’t get stuck in traffic or battle your way through crowds of locksmiths all looking for the best deals. Enjoy some down time, grab a cold one and put your feet up because TradeLocks are bringing the bargains to you! Introducing the New CitySafe Manual Key Cutting Machines! With over 100 years’ worth of experience in the industry, it was only a matter of time before CitySafe launched their very own range of key cutting machines! If you’re a locksmith or a key cutter looking for a durable, reliable and practical key cutting machine then look no further! 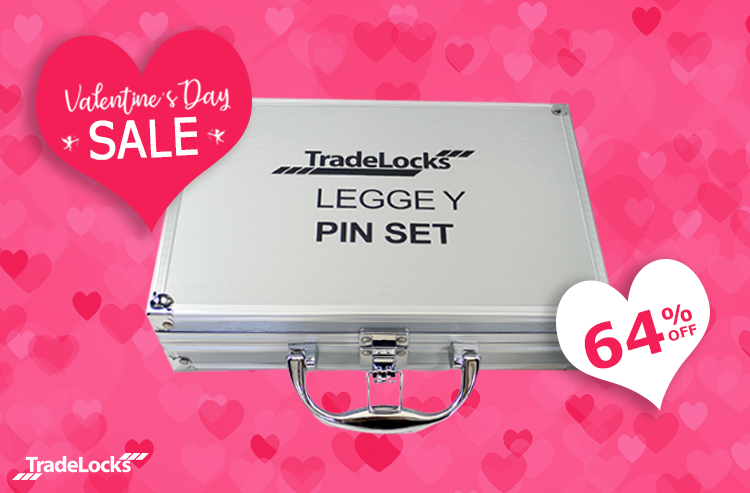 Valentine’s Day is right around the corner, and here at TradeLocks we think that your locksmith toolbox should also be shown some love! We want to help you feel the love this Valentine’s Day – that’s why until the end of Thursday 15th February we’re giving you the chance to save up to 24% on selected tools! 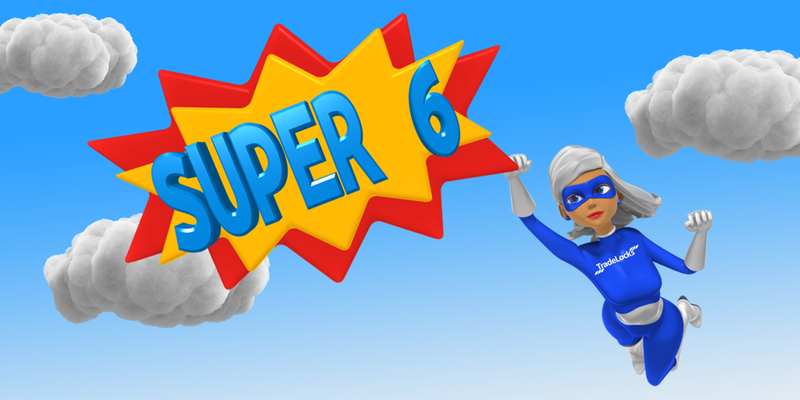 Introducing our ‘Super 6’ Domestic Locksmith Tools! This week at TradeLocks we’ve selected six of our most popular domestic locksmith tools and are offering them at an even more amazing price than usual! We’re committed to helping our customers save money on premium quality equipment. That’s why, until the end of Thursday 8th February we’re helping you save up to 49% on our Super 6 domestic locksmith tools! Beat the January blues with 20% off KeyDIY! To make the final week of this never ending January bearable we’re offering you 20% off ALL KeyDIY products – while stocks last! Plus there’s the chance to get the B01-3 remote at its lowest price EVER! Keep reading to find out more. Get 20% off selected cylinders! 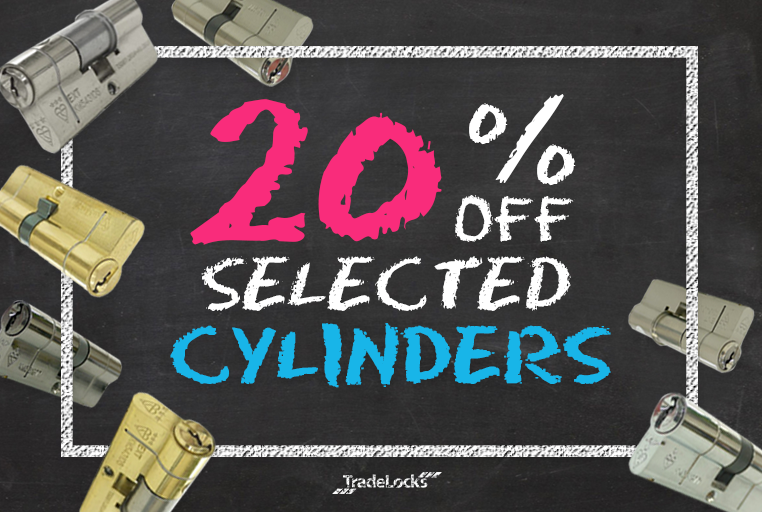 This week at TradeLocks we are helping you secure more than just savings with 20% off selected cylinders! Coronation Street legend Sean Wilson has worked with UAP for some time now, and to celebrate his return to the cobbles as Martin Platt in a few weeks we’re giving you 20% off ALL UAP+ 1* and Kinetica 3* cylinders! 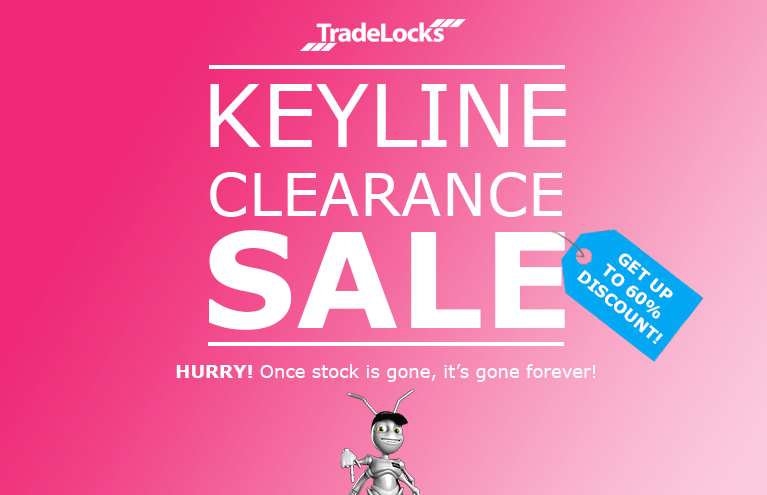 Save with our Keyline Clearance Sale! This week at TradeLocks you can get Horseshoe Keys from as little as 50p+VAT and up to 60% of our original Keyline prices – while stocks last! Keep scrolling to find out more! The New Year is a time for fresh starts and clear-outs! That’s why until the end of Thursday 18th January 2018, we’re having a Keyline clearance sale with prices lower than you’ve ever seen before! From Pod Car Keys, Horseshoe Keys, to Transponder Chips, Key Cutting Machines and Accessories – EVERYTHING MUST GO! A new year means new tools…and if you’re looking for key remote generators then you’ve come to the right place! VAT Free Holidays at TradeLocks! It’s the end of 2017 and the season of good will…so as a thank you to all of our customers for supporting us this year we’ve decided to have an end of year sale! The holidays have just become VAT FREE*! We’re slashing VAT on ALL products online. There’s only six days left until Christmas, which means we will be closing our doors to enjoy the festivities, eat lots of food and party until the New Year! Our last working day is Thursday 21st December 2017. We will reopen for business at 8:30 AM GMT on Tuesday 2nd January 2018. It’s that time of year again – the season of good will! And that’s exactly what’s on offer from TradeLocks for the next 12 days – good will. Our 12 Days of Christmas promotion is BACK for 2017 and the deals will be sure to get you feeling very merry indeed. The promotion will bring an unmissable deal each and every day. 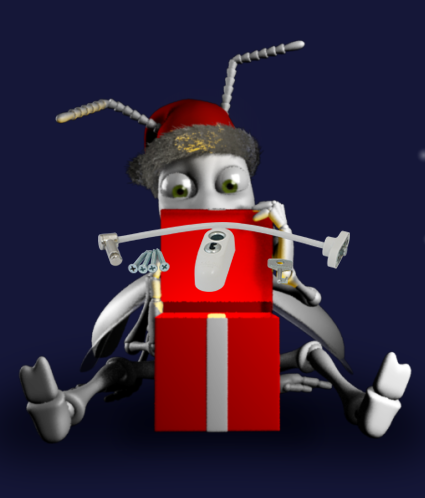 Running from 8th December through to the 19th, each day we will be offering a new product, at an exclusive one off price. This week at TradeLocks you can get Pod Car Keys from 99p+VAT and up to 80% off our original Keyline prices – while stocks last! Keep scrolling to find out more! After three fantastic years of promoting Keyline within the UK, we have decided to closeout the Keyline range and invest in new product areas in line with TradeLocks’ and UAP’s future strategy. Get FREE Advertising with the Cars Keys & Locks Find a Locksmith App! Simply register for a free trade account at TradeLocks! With the brand new Cars, Keys and Locks – Find a Locksmith app (sponsored by TradeLocks and CitySafe) and TV advert launching this week, now is the time to register for a free trade account and upgrade it to become TL approved for FREE! Black Friday isn’t over yet! Here at TradeLocks Black Friday isn’t over yet…but it must end on Thursday! Keep scrolling to find out the fantastic deals and discounts we have for you! It’s Cyber Monday, and across the web today is the LAST day for you to make the most out of the Black Friday promotions that retailers have to offer you. But here at TradeLocks we’re committed to helping our customers save money on premium quality equipment. Save over £200 on the SuperVAG Complete Bundle! Here at TradeLocks we’re committed to helping our customers save money on premium quality equipment! So if you like saving money, keep on scrolling! 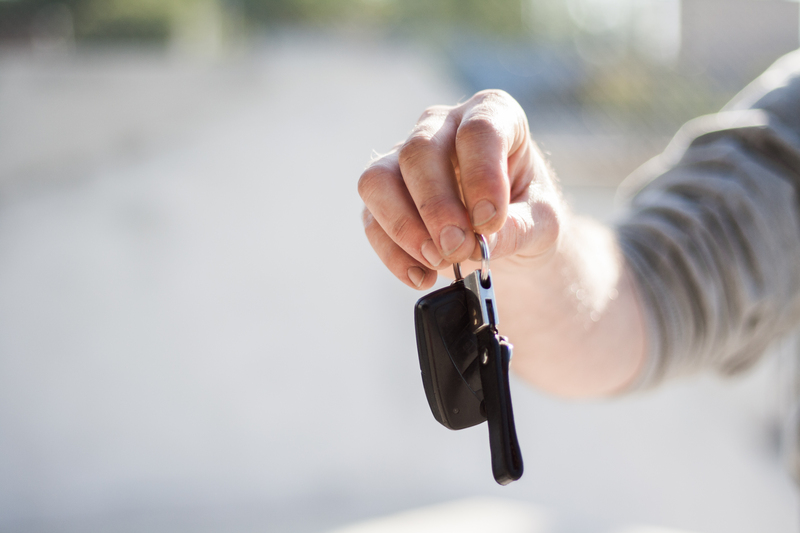 If you’re an auto locksmith, you know that it can be time consuming and challenging to create car keys for VAG vehicles when a customer has lost their original keys or they’ve just stopped working. 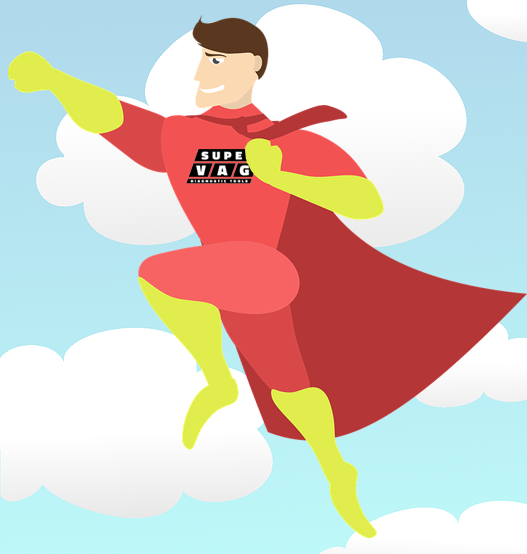 It’s often complicated and ends up being expensive for the customer – but there is a solution – SuperVAG! 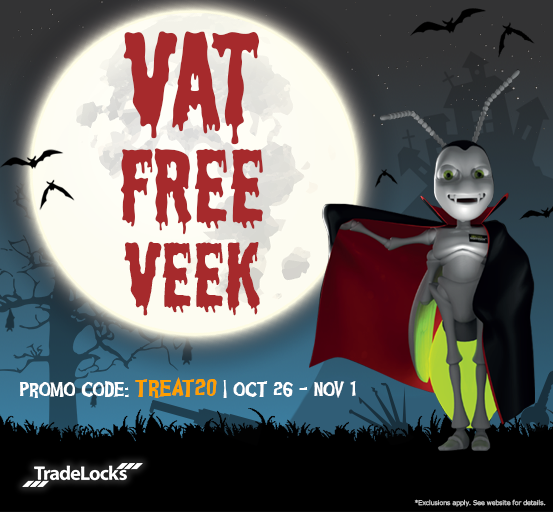 TradeLocks is turning NOvember into YESvember by treating you to a VAT FREE week! 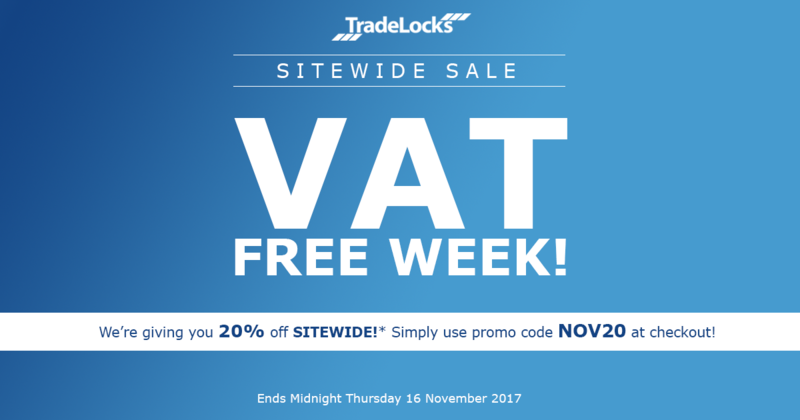 Until the end of Thursday 16th November TradeLocks is giving you the chance to get 20% off EVERYTHING* sitewide! All you have to do is enter promo code NOV20 at checkout to make some serious savings. TradeLocks BANGING deals on Mortice Locks & Accessories! Research shows that when the clocks go back, burglaries spike by a huge 38% – and on Bonfire Night burglary claims are a whopping 21% higher! That’s why we’ve got some BANGING deals for you! 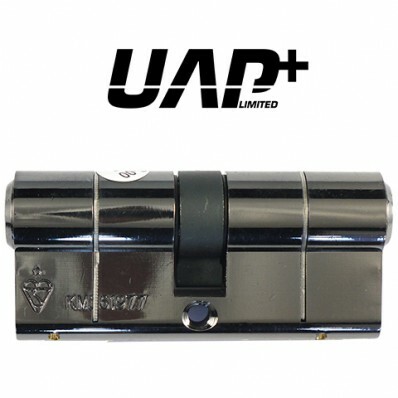 Improve your customer’s home security when they’re most at risk with the 6 Lever Kitemarked British Standard Mortice Lock range from UAP TradeLocks – they’re some of the most secure locks on the market! POTW: Scarily Good Discount on ALL Keyline Products! 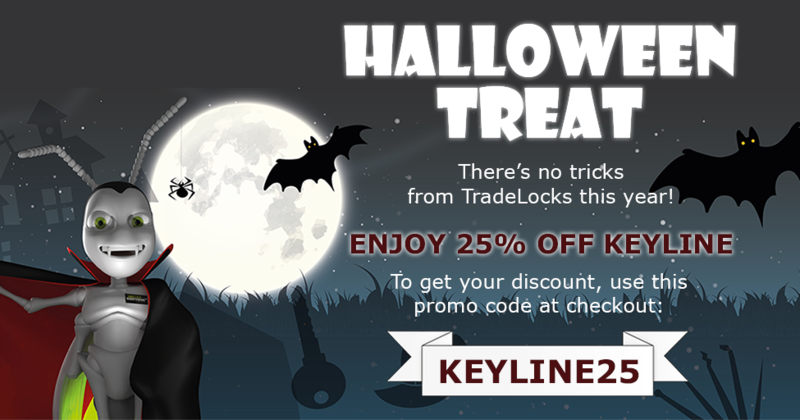 This Halloween, TradeLocks is TREATING you to a MASSIVE 25% off ALL Keyline products – while stocks last! We’re committed to helping customers save money on premium quality equipment. That’s why, until the end of Thursday 2nd November 2017 we’re offering you some scarily good discount on ALL Keyline products! It’s almost Halloween and here at TradeLocks we’re TREATING, not TRICKING this year – that’s why we have some scarily good deals for you. Until Thursday 26th October 2017, you can purchase the never seen before COMPLETE Ford Tibbe Collection for just £99.99+VAT – that’s a saving of over 50% if you were to purchase the tools separately! POTW: Create Car Keys with KeyDIY! This week at TradeLocks we’re offering you some serious savings on selected KeyDIY products plus there’s the chance for you to get a FREE gift! POTW: Genuine Lishi MONSTER Sale and much more! 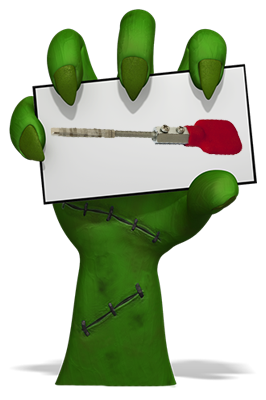 This week at TradeLocks we’re having a MONSTER sale on Genuine Lishi Tools, it’s FREE gifts galore and more! Keep reading to find out more! 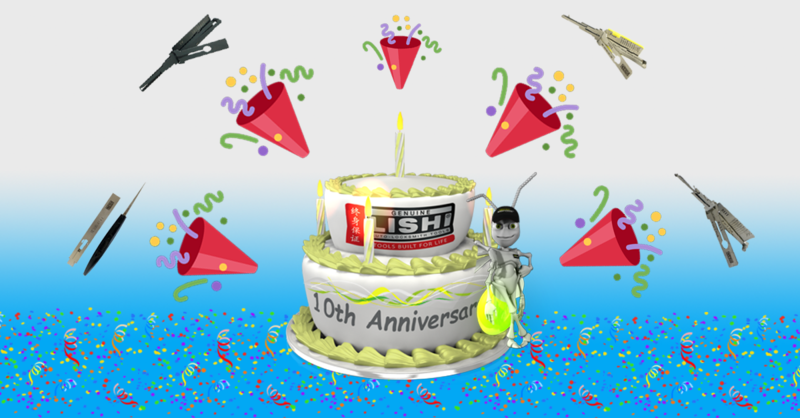 Can you believe that it’s been TEN years since we started selling Genuine Lishi Tools! In that time we have been developing and updating them to make them the very best in the world. We’ll be launching our latest version of Genuine Lishi Tools soon, so we’re clearing out our stock of former versions. 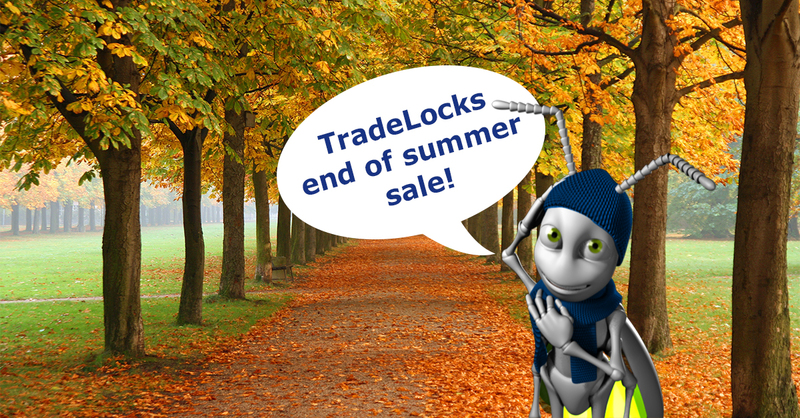 EXTENDED – TradeLocks End of Summer Sale! Our end of summer sale was supported by all of our customers and we received orders from over 20 different counties as TradeLocks sales reach continues tog row. 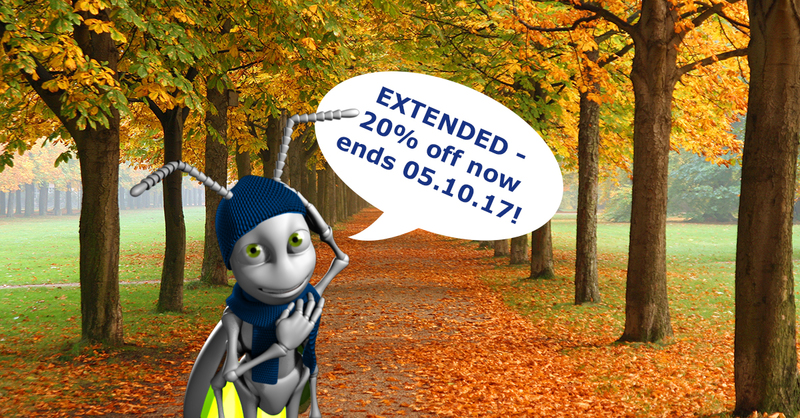 So as a thank you to all of our customers we’ve decided toe extend 20% off EVERYTHING* and more for a further week! 20% off ALL* products! This only excludes key cutting machines and other listed deals. Simply enter the promo code ‘SUMMEREND‘ at checkout to get your 20% off. Purchase a mixture of 20 B06 and BO7 Car Key Remotes and get 5 FREE! 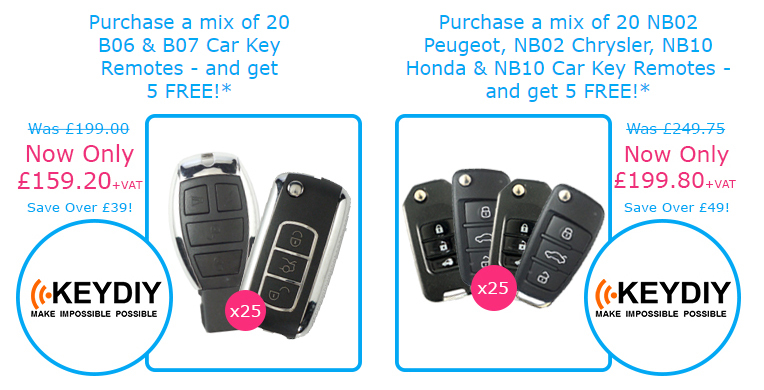 Purchase a mixture of 20 NB02 Peugeot, NB02 Chrysler, NB10 Honda and NB10 Car Key Remotes and get 5 FREE! TradeLocks End of Summer Sale! 20% off ALL* Products, Plus Much More! Friday 22nd September marked the end of British summer time, autumn is here and we know that everyone needs a pick me up at this time of year! That’s why we’re having an end of summer sale! 20% OFF ALL PRODUCTS*! This only excludes key cutting machines and other listed deals. Simply enter the promo code ‘SUMMEREND‘ at checkout to get your 20% off. POTW: Fantastic discounts on everything you need to create a car key! From generating a remote and cloning transponders, to programming a key and cutting the blade, TradeLocks has everything you need to create a car key! 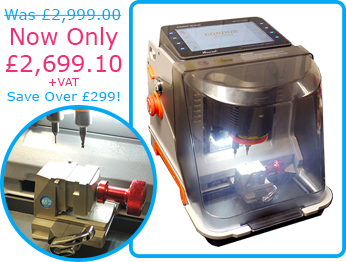 Now only £2,699.10 + VAT – save over £299! 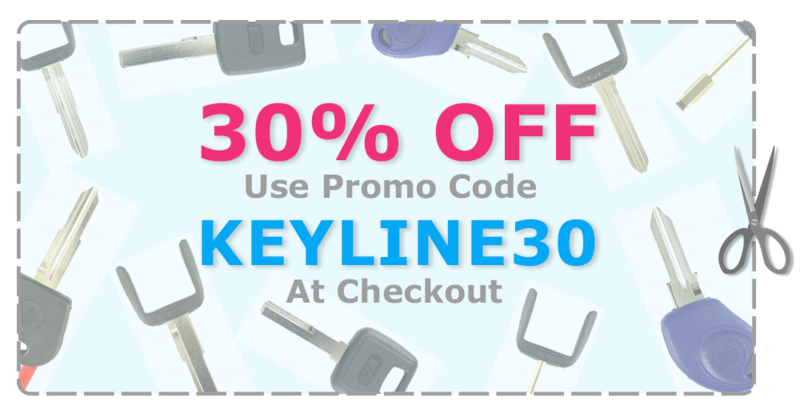 POTW: 30% off ALL Keyline products – while stocks last! 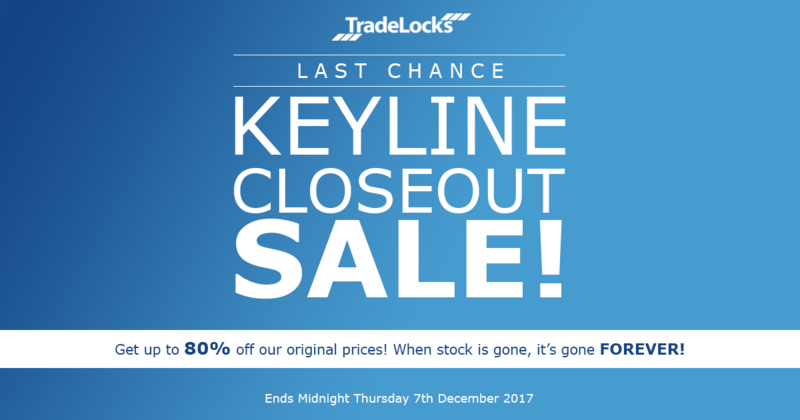 This week at TradeLocks we’re offering you an amazing 30% off ALL* stocked Keyline products – while stocks last! AND there are some extra special deals also available. Keep reading to find out more! 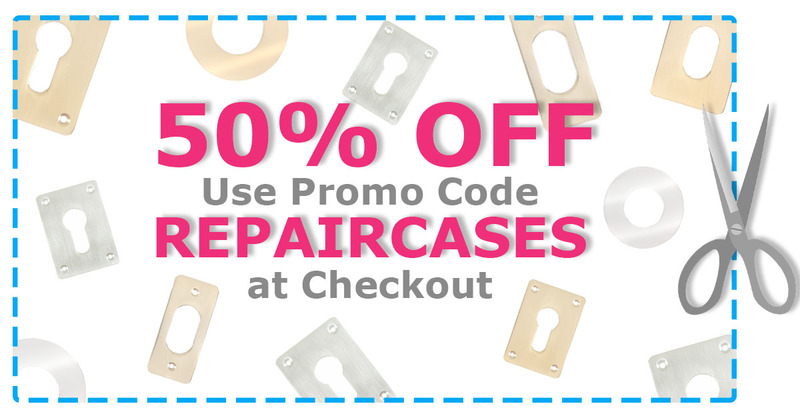 POTW: 50% off Escutcheon Repair Plates – once they’re gone, they’re gone! This week at TradeLocks we’ve reduced our prices on a range of Genuine Lishi Night Vision Tools, and we’re offering a FREE Lishi torch or Lishi case (for 50 tubes). In the past few days the locksmith world has lost one of the most well-known and respected veterans to cancer, Chris Belcher. The new ‘Magic Tibbe’ Tool from Genuine Lishi will change how you look at picking car locks. This new tool from world renowned auto access manufacturer, Genuine Lishi, is set to make serious waves in the locksmith industry. POTW: Impress And Save Over £30 on Our Mortice Impressioning Sets! With a difficult and intricate lever mechanism, picking this type of lock can often end in a waste of time and a serious amount of frustration. However, with our full range of Mortice Impressioning Sets, you can ensure that cracking these tricky pieces of hardware for your customers is a breeze. Until Thursday the 13th of April, we are offering fantastic discounts on the Genuine Lishi 8 Cut Tibbe Decoder, the Premium Ford Tibbe Kit and the Genuine Lishi Training vice. 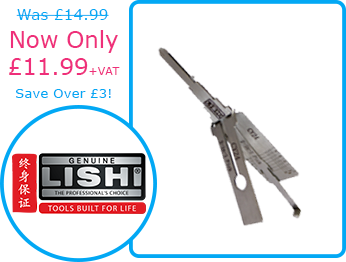 Plus when you buy all 3 of these Genuine Lishi tools you’ll get them for the incredibly low price of just £75 + VAT. We have recently introduced to our product range remote repair cases for car key remotes, and now have over 70 different cases in stock! With the help of Tradelocks you can now offer your customers complete and comprehensive remote repair services using these high quality aftermarket repair cases. 1. By selling the gadget as an upgrade when attending a vehicle lockout situation. 2. By selling it to young people wanting the latest gadgets and technology. Selected horseshoe keys are now just 99p + VAT at Tradelocks – for a limited time only. Until Thursday the 23rd of March a huge range of our horseshoe keys are still on offer as part of our St Patrick’s Day Promo! 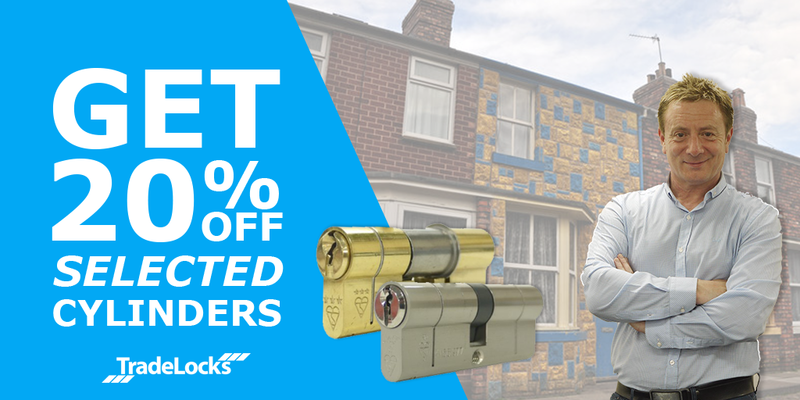 This week are helping you secure more than just savings with 20% off selected Tradelocks cylinders. 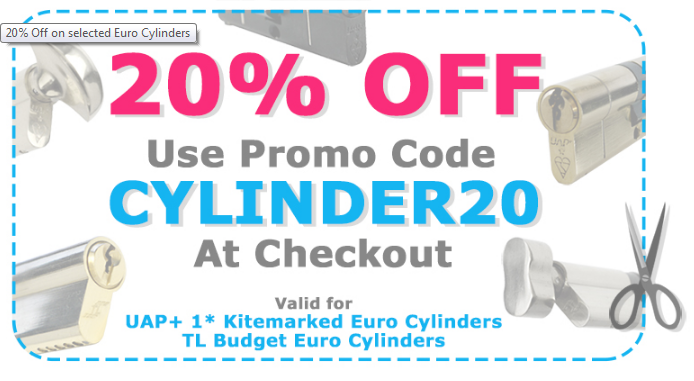 Use promo code CYLINDER20 to get 20% off both the UAP 1 Star Kitemarked Cylinder and the TL Budget Cylinder. Midweek Megadeals! 20% OFF at Tradelocks Until Thursday, Plus Much More! Did you have a busy weekend? Miss out on this weekends fantastic Tradelocks ‘megadeals?’ Well fear not, as demand was so high, we had no choice but to extend them. So if you missed out this weekend, make sure you don’t miss out again! The new range of water resistant aftermarket advance car key remotes, from KeyDIY, at Tradelocks, are as bright as they are brilliant! Stay in the Know: Attend a 2017 Tradelocks Roadshow! Stay ahead of the game, and stay ahead of your competitors with our help. Get yourself to one of our Roadshow events, registration now open! There is a lot of competition out there. With so much competition within the industry can you afford to be cocky when it comes to keeping in the know? It’s the year of the Rooster! As the Rooster is renowned for waking people, we wanted you to wake up to great news! For the next 4 days there will be an incredible 20% off all Tradelocks products excluding key cutting machines. Get high tech digital locks now, here at Tradelocks. Our new Lockey range includes a variety of mortice latch locks, including products with levers or knobs depending on preference; a mortice deadbolt lock and a hook bolt lock for sliding doors. Become a master locksmith with the latest software for master-key management and key code data services. Now you can get your 1 year subscription to both the ProMaster7 master-key management system and the Instacode key code data search engine, from us, at fantastic prices! We are proud to announce the latest innovation from Keyline now available here at Tradelocks. Let keys be cloned, from now on… with your brand new Keyline Cloning Machine and software. The Ninja Vortex is just £6500.00 + VAT, down from £7495.00 + VAT. 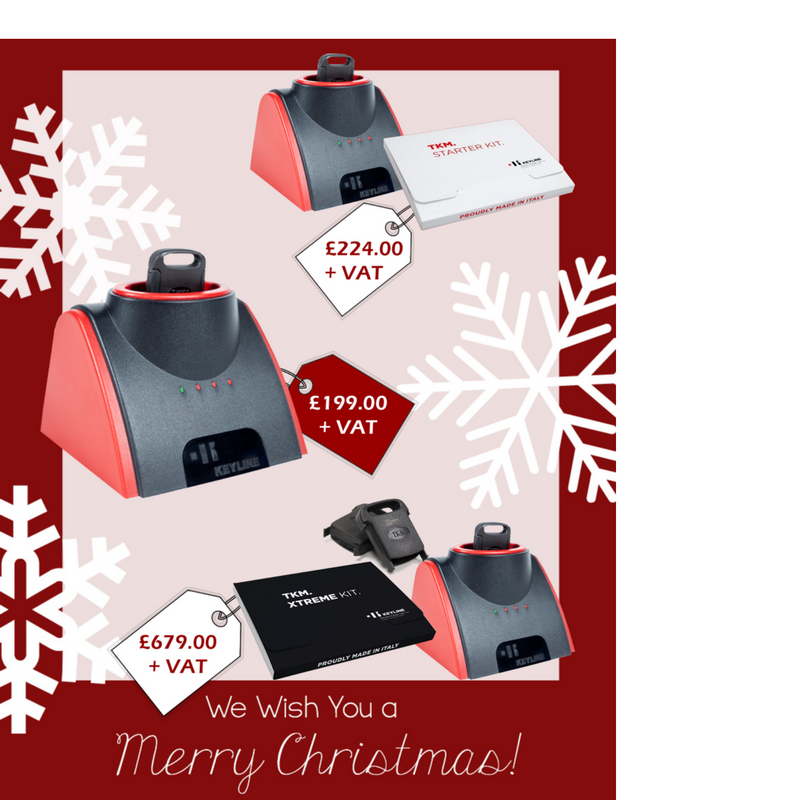 The Keyline Ninja Key Cutter is just £3999.00 + VAT from £5860 + VAT and the Ninja Dark Key Cutting Machine from Keyline is just £3250.00 + VAT, down from £3995.00 + VAT. Get unrivalled discounts on Keyline key cutting machines – today only. 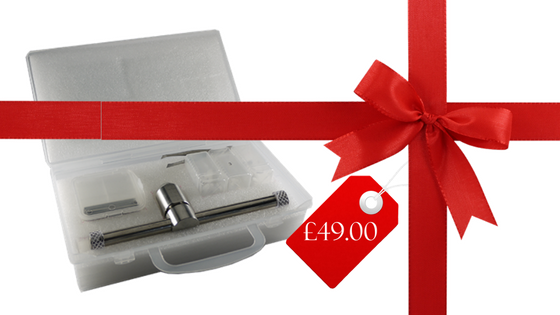 With one of our Mortice Impressioning Sets which are incredibly low in price for today only! The Tradelocks uPVC Door Opening Kit at the remarkable price of just £64.99 + VAT. Today we have 4 incredible deals for you to choose from! 1) The 23 Piece Tradelocks Beginners Pick Set, now just £9.99 + VAT. Learn how to pick like a pro! With this pick set you’ll be prepared for whatever a job throws at you. Get Set this Christmas with the RPCP 3 Piece Set Deal and More! 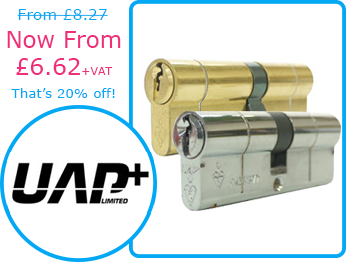 Today our deal is for all domestic locksmiths! 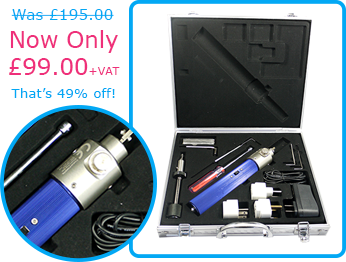 We are offering the RPCP 3 piece set deal, which was previously £249.00, for just £199.00. It’s Beginning to Look a Lot Like Christmas at Tradelocks! It’s the 6th day of Christmas and we are half way through our fantastic ‘12 days of Christmas’ promo! 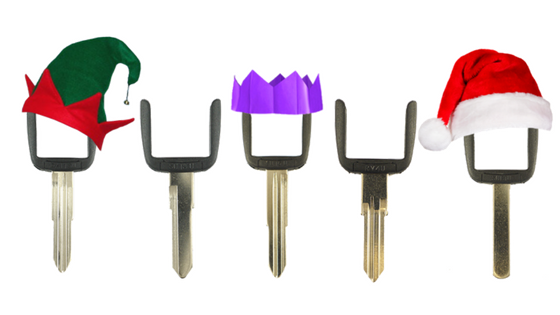 Today we are offering the normally £125 + VAT, 12 Piece Professional Bump Key Set for just £59 + VAT! 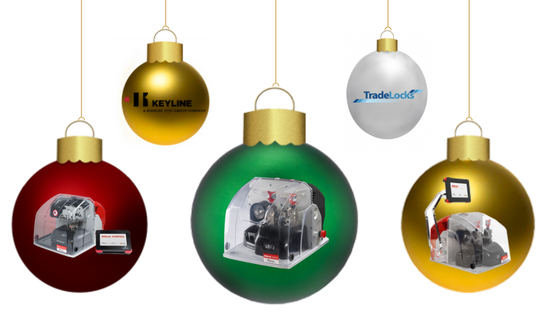 Its the 5th day of Christmas here at Tradelocks and today we have a fantastic deal on selected TK100 Keyline Horseshoes. Today only, the following horseshoes which are usually just £2.63 + VAT each or £2.25 + VAT when you buy 10 or more, are now an astonishing £1.25 + VAT! ‘A Brilliant Saving’ on the ABS Opening Tool for one day only! On the 4th day of Christmas Tradelocks gave to me ‘A Brilliant Saving,’ aka the ABS Opening Tool (not manufactured by ABS) at just £49.00 + VAT! The ABS Opening Tool (not manufactured by ABS), guarantees access to the ABS 3* Kitemarked Cylinder, in just minutes, with little to no prior knowledge of locks. All I want for Christmas… is exceptional home security! 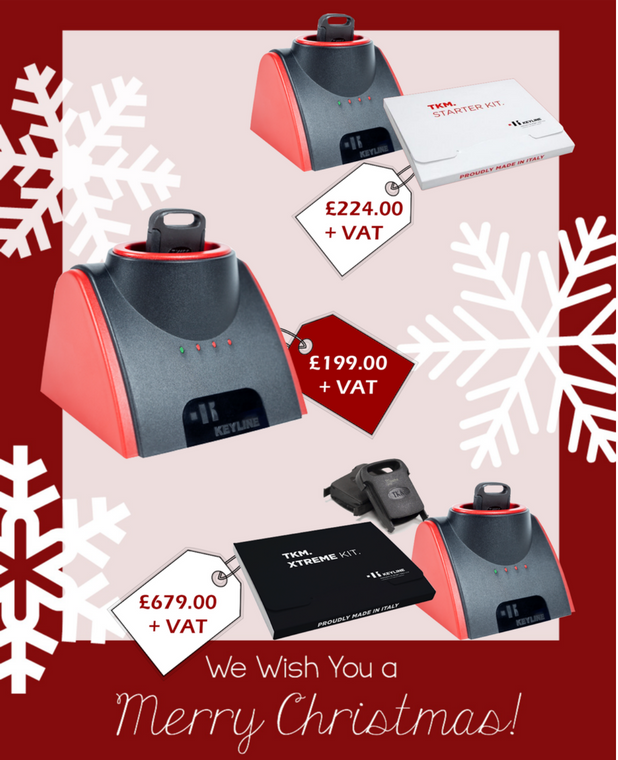 It’s day 3 of the incredible ‘12 days of Christmas‘ promo and today’s deal makes for a fantastic addition to any trade counter or shop. Lockable and fixed window restrictors are just £39.90 + VAT for 10! The KD200, a selection of B series remotes and all chip on board NB remotes at low, low prices! We will be running our very festive ‘12 Days of Christmas’ promotion from now until the 19th of December and on each day we will reveal at least one product which will be on offer for 1 day only! … the Chris Belcher Multi Gauge Mortice Lever Lock Pick at its lowest ever price – the first of our fantastic Christmas deals! Not sure why? Well the countdown to Christmas is on, and to help get everyone in good spirits we are giving customers a fantastic deal every single day, for 12 days, in the lead up to the holidays. Never be caught out on a job again! With the Genuine Lishi App you’ll have all the auto locksmithing expertise you’ll need at the tip of your fingers, and most importantly, it’s FREE! Grab a Bargain this Black Friday with Tradelocks! It’s the best day of the year to grab a bargain! Black Friday has come around once again and huge sales have sprung up across the nation – and here at Tradelocks there is no exception. 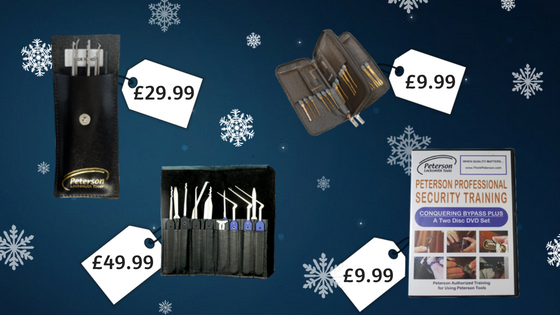 Get fantastic deals on a range of Genuine Lishi tools from now until Thursday the 24th of November. FREE! When you buy selected Genuine Lishi Tools this week! The Genuine Lishi Torch is small but effective and can make decoding in the dark much simpler. On Saturday the 26th of November we will be kicking off our Roadshow event in Newcastle, with another the following week in Cardiff – on Saturday the 3rd of December. And registration for both events is now open! For one week only we have some fantastic deals on Chris Belcher tools, including the Multi Gauge Mortice Lever Lock Pick, various RPCP sets, the RPCP Chubb 110 Kit and the Super Snapper Bar. Tradelocks Roadshow… First Stop Newcastle! 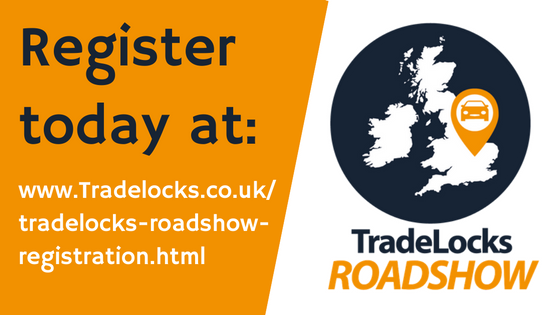 The Tradelocks Roadshow is a completely FREE event and that will see us touring the country putting on trade shows in various cities across the UK. And now we have revealed our first stop – Newcastle-Upon-Tyne!